Any time a coach or player discusses the tight end position at Nebraska, Jack Stoll is the first name mentioned. As the only tight end on the roster who has taken a snap a the college level, Stoll had no choice but to step up. One area in which Allen isn’t going to follow Stoll, however, is the hair department. Stoll is a fan of the “party in the back” cut. 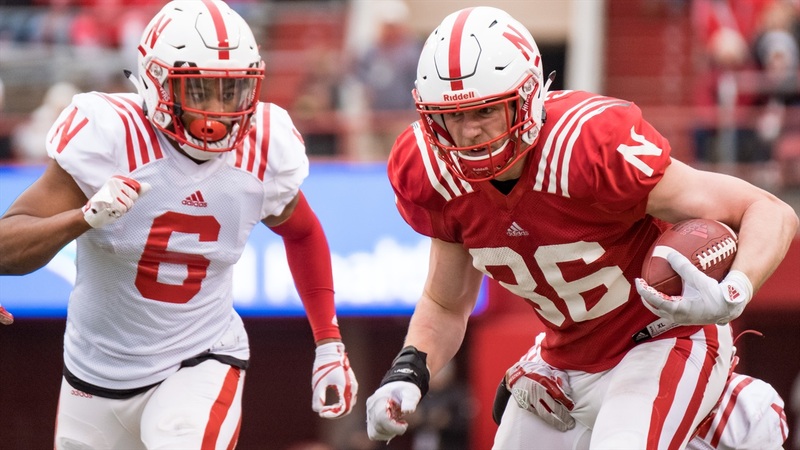 The tight end room for fall camp consists of Stoll as a sophomore, Allen and Kurt Rafdal as redshirt freshmen and true freshmen Cameron Jurgens, Katerina Legrone and walk-on Bryson Krull, making Allen and Rafdal the most experienced after Stoll as well. Beckon said he’s counting on the guys that were on the team last year to bring the newcomers along. The Huskers have a variety of body types in the tight end room. Stoll is listed at 6-foot-4 and 260 pounds. True freshman Cam Jurgens is in a similar mold at 6-foot-3 and 270 pounds. Legrone and Krull are converted big receivers at 6-foot-3, 235 pounds and 6-foot-3, 240 pounds. And then there are the twin towers in Allen (6-foot-8, 245 pounds) and Rafdal (6-foot-7, 250 pounds). Jurgen's is a different story; getting better leverage as a blocker isn’t something that he has to focus too much on in practice. Allen said agility is the thing Jurgens needs to improve the most, but he is coming off a broken ankle suffered late in his senior season. Mobility will continue to return. For the time being, though, Allen said Jurgens is also ahead of the game from a mental standpoint. Regardless of who is on the field and whatever the player’s individual strengths might be, he has to do it all in Coach Scott Frost’s offense, and rounding out that skill set has been a focus for all of Nebraska’s tight ends.